Qui sommes nou Jyske Bank Private Banking ? 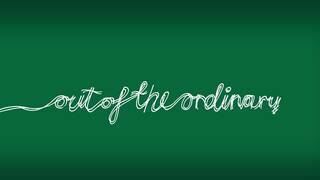 What makes us Out of the Ordinary? Many banks offer advice on investment and banking services. So does Jyske Bank. However, we also insist on giving you something more. Therefore, you can look forward to a bank which is not quite like the others. As a client you will experience that we do whatever is in our power to make banking as easy as possible for you in your current situation. Therefore we will not bother you with cumbersome decision-making processes. Jyske Bank (Gibraltar), Private Banking Hamburg and Private Banking Copenhagen are part of the Jyske Bank Group, and we only serve clients who are not residents of Denmark. Being a client with Jyske Bank, you must be able to document to us that the funds you wish to invest have been declared to the tax authorities in the country of which you are a tax resident. This rule applies irrespective of which type of account you have with us. It is the policy of Jyske Bank that we will not aid and abet tax evasion. Plus d’informations concernant Jyske Bank et les relations investisseurs. Nous n’avons pas besoin de plan de sauvetage.